Teens are usually at a higher risk for auto accidents because they are inexperienced drivers that fail to wear their seatbelts, often text while driving and underestimate road conditions. They also have the highest rate of crashes due to excessive speeding. Teaching your teen the importance of safe driving can help them prevent future accidents. It can also help them learn what to do in case of a crash and avoid criminal felonies caused by a hit and run accident. Hit and run incidents are typically the end result of an accident where one party leaves the scene of the crime before documentation has been properly exchanged. 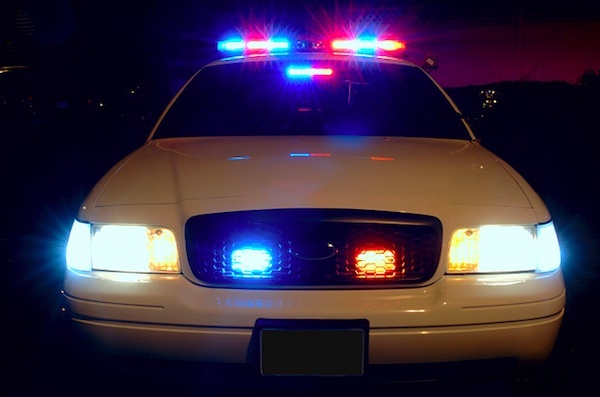 Depending on the seriousness of the situation, whether you ask a patrolman in San Diego or inquire with local New Hampshire criminal lawyers, both will inform you that hit and run accidents can be prosecuted as a felony or misdemeanor. Your teen needs to realize that penalties for hit and run accidents can range from the loss of a driver’s license and exorbitant fines to jail time. Depending on the state in which you reside, laws usually dictate that the driver of any motorized vehicle that is involved in a crash must immediately stop. It doesn’t matter if it is just a minor fender bender or a serious accident, your teen needs to understand that they must exchange proper paperwork. If the other person or persons involved are injured, the police should immediately be notified. Failing to stop can result in criminal charges and affect their lives permanently. If your teen is involved in a property damage accident, they must also stop and locate the owner and exchange documentation. If the owner cannot be found, the teen must leave a note and state the facts involving the accident and report the incident to the local authorities. Your documentation should include the full name of the driver, valid license number, VIN number of the vehicle, and the insurance carrier information. When your teen gets behind the wheel, teach them the importance of keeping their eyes focused on the road. Teens can often get distracted by the radio, other drivers and their cell phones. Ban the cellphone from being out while they are driving. This means turning the ringer to silent and keeping the phone tucked away until they reach their destination. Even hands-free devices can be distracting to the driver. Your teen is a first time driver and may be unfamiliar with the state laws. Driver’s education classes are the best places to begin. In addition to school classes, spend time with your teen and give additional advice on how to maneuver difficult situations that they may come across. Studies have shown that teens with over three passengers inside the car are three times more likely to perish in a wreck. To keep them safe, you can limit the number of friends your teen is allowed to have in your vehicle. It can be unnerving for parents as their teens begin to learn to drive. However, helping them learn proper safety techniques, laying down some important ground rules and teaching them what to do in case of an accident can help them avoid serious complications down the road. Having a nephew on the verge of becoming a new driver gives freelance writer, Nadine Swayne, the understanding to forward this article. You can find New Hampshire criminal lawyers within the law firm of Tenn And Tenn, PA that can help if your teen has been charged with a hit and run accident. The attorneys provide expert legal services and diverse experience for those facing criminal charges. They work hard for clients to ensure the best outcome for their case. This is very scary and I pray I can teach my children to be responsible behind the wheel. This is so scary! It seems like I hear something on the news every single day regarding people getting hit by cars. It’s just so sad. I dread the day my kids start driving because it’s just one more thing for me to worry about. Although my oldest will soon be turning 9, just the thought of my children driving makes me nauseous. So many things to be worried about! Great tips for everyone, not just teens. Thanks! I don’t even want to think about this! My daughter is going to start driving soon! So scary. I’m not looking forward to my children driving one day. My 16 year old is driving now, and it makes me so nervous!